The frustration of fibromyalgia sufferers is well founded, as it’s a condition of often unknown origin with no standard treatment and no cure. It’s believed by researchers that fibromyalgia may cause the brain to change the way it processes pain, in effect amplifying messages of pain sensation. The sufferer starts to feel pain more severely than accounted for by any body condition. Dr. Varveris and the staff at PhysioNetics in Naples, Florida frequently treat the symptoms that accompany fibromyalgia. Are there risk factors identified for fibromyalgia? Yes. Women are more likely to have a fibromyalgia diagnosis than men. There’s also a genetic risk, as the condition seems to run in families. Those with rheumatic diseases such as rheumatoid arthritis and lupus may have an increased risk of fibromyalgia. Some infectious diseases seem to trigger or intensify fibromyalgia symptoms. What techniques do Dr. Varveris and her state of the art team at PhysioNetics use to treat fibromyalgia? As physiotherapists, Dr. Varveris and her team focus on regular, low-impact exercise, since physical activity frequently relieves fibromyalgia symptoms. They recommend conditioning exercises 3 times a week as a minimum to decrease associated pain. Activities such as walking, swimming, and biking provide better results than more strenuous exercise such as weight training. Many fibromyalgia sufferers report reduced pain and improved energy soon after starting an exercise plan. The clinic team teaches proper muscle stretching, flexing and relaxing techniques in addition to posture control and controlled breathing exercises. There are alternatives to drug treatment for fibromyalgia symptoms. Dr. Varveris and her team have the experience and knowledge to customize the proper treatment plan for your fibromyalgia. 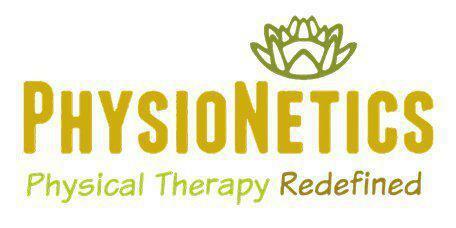 Call or make an appointment online today for assessment by Dr. Varveris and her team at PhysioNetics. The practice is currently welcoming new patients and accepts most forms of insurance.